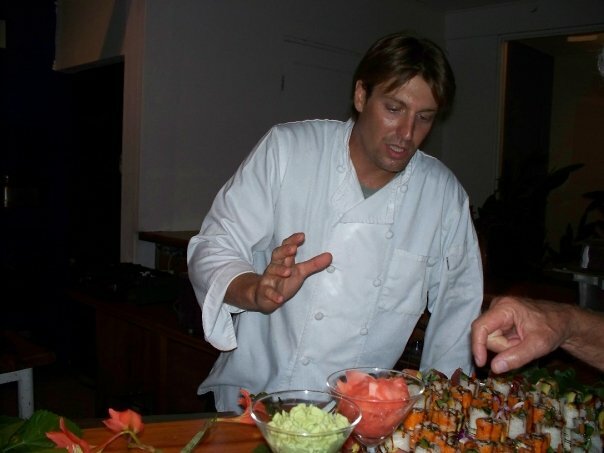 Personal Chef Dinner Service at Your Vacation Home! Imagine this: you have played all day under the Florida sun, hitting hole in one after hole in one on the golf course, and all you want to do is enjoy a good home-cooked meal. However, the very last task you care to do is plan for it, go grocery shopping, and do the work. This is where Siesta Concierge comes in. We are happy to arrange to have one of our Personal Chefs prepare you a delicious meal at your vacation rental that will leave you both satisfied and relaxed, and you won’t have to worry about the dishes. As much as we all love a night out on the town, dining at one of the many fine and tasty Sarasota restaurants, sometimes all we want to do is avoid waiting in long lines for a table and simply have a delicious meal prepared for us in the comfort of our home. Our Personal Chef service brings the food right to you; you need not to bring a thing, except for your appetite. Let the aromas of chef-inspired dishes fill your house. 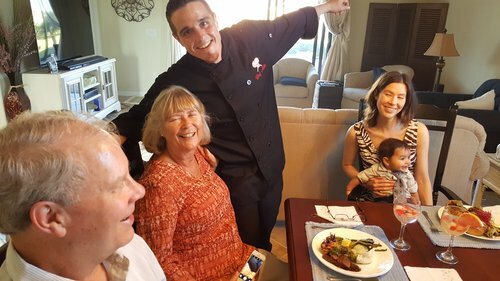 Our Personal Chef Dinner Service has been greatly appreciated by our guests who visit Sarasota for family reunions or enjoy a spectacular meal at home. Spend more time with your family and/or friends at the beach, and less time in the kitchen. Whether you are looking for a birthday, anniversary, family reunion or a romantic dinner for two, we are sure to have something to dazzle you. Go for the gold and experience our fanciest option of a true culinary treat: our chefs prepare a mouth-watering six course meal for you and your party. We hope you are hungry! 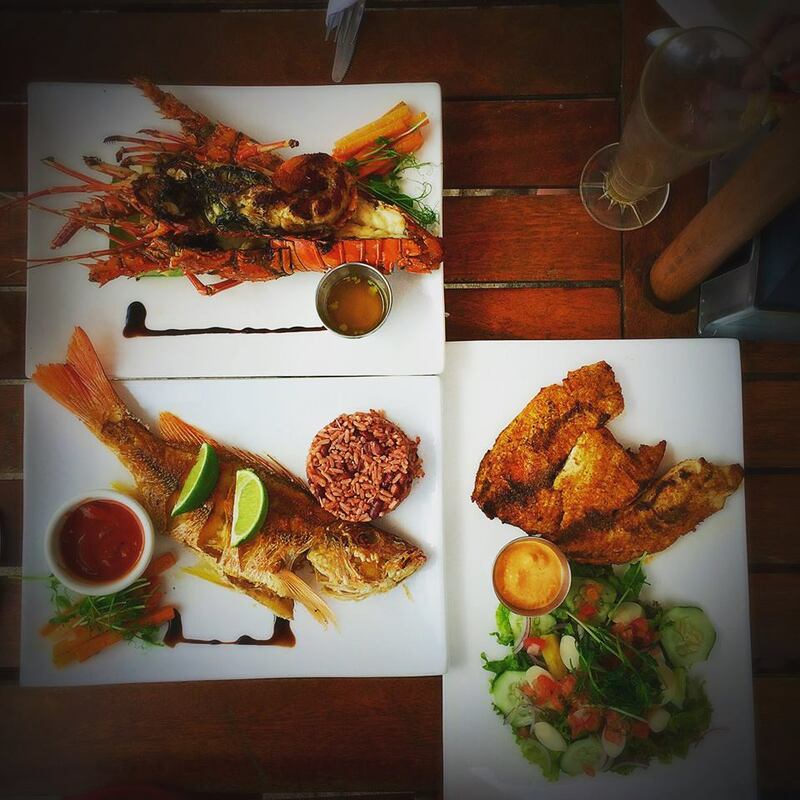 You pick the category from a provided list of truly outstanding dishes. Come ready to relax and take the time to savor every bite of every course. You will not leave hungry, nor will you leave disappointed. Have the choice of a personal cook preparing a meal in your kitchen, or if you prefer a little privacy but still desire to taste one of our cook’s top-notch meals, then have our cook drop off an already prepared Florida dish right to your hands! Our Personal Cook option is a popular and more casual dinner option to suit your hunger needs. Either a cook can come right to you and prepare the meals at your house, or if you prefer, our cook can deliver a delicious already prepared meal right to your doorstep. Eggplant parmesan is a perfect choice for a large group, after a long day of strolling the sandy beaches. Just heat it up and enjoy! Have a hankering for lobster mac and cheese? Our chef will drop it off to you; all you need to do is pop it in the oven, heat it up, and indulge in the cheesy goodness with buttery savory lobster that will have your tastebuds jumping for joy!